Hoods are a key detail, especially on winter outerwear. Rarely studied in technical manuels, our team has decided to demonstrate the fundamental principles of hood making through a series of online patterns that will allow you to add the most fitting hood to one of your creations for style purposes and protection against the wind and rain. Different elements need to be taken into account when making a hood. 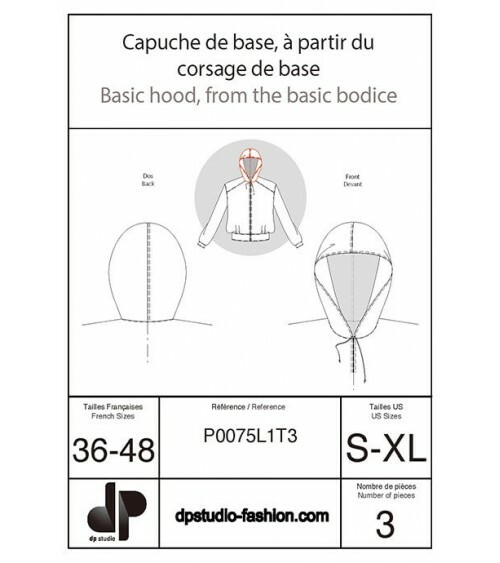 Our base patterns for hoods, compiled with much rigor and attention to detail, can be directly as they are or transformed. 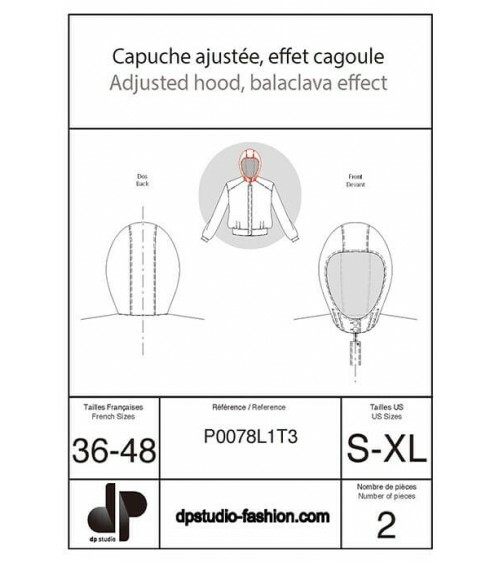 Available from size 8 to 20 (UK sizes), the various hood styles proposed correspond to all garment types, making adaptation easy. Try an original touch and finish one of your pieces with a hood - nothing could be simpler! Various hood patterns are included in the range of products developed by dp studio’s flat-pattern drafting method. Whether fitted, crossover or made of several sections, you can easily use these base patterns as they are or transform them to your creative ideas, and adapt them to the garment of your choice. The volume, fit and hang of all our patterns have been closely studied, so that you can focus on your creativity and avoid technical mishaps.